New automotive products hit the market every day. From clever car cleaners to gear-minded gadgets, ROAD & TRAVEL is notified, updated and informed on a constant basis. In this section you'll find some of our favorite products, a bit about them and a link where you'll be able to find them for purchase. Never drop a call again. The Freedom Antenna all in one pack gives those on the go clear, reliable cell phone reception on any road, anywhere. The antenna pack is available for all cell phone models, making it a must for drivers. Find it here. 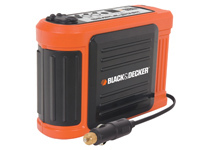 The Black and Decker Simple Start Battery Booster gives drivers peace of mind, charging and starting vehicles without the use of jumper cables. The cordless booster plugs directly into the vehicles DC outlet for an instant charge. Find it here. Passengers can now read in the dark without distracting drivers with blinding interior lights. 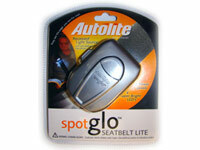 The Autolite Spotglo seatbelt light provides a LED light source directly for the reading passenger by clipping onto any seat belt. ($9.99) Find it here. Make sure that your vehicle's chrome wheels are bright as day with this microfiber Fork Duster by California Car Co. The easy-to-use duster "clamps" around objects (think: car grilles, wheels, bumpers) to trap dirt. ($9) Find it here.